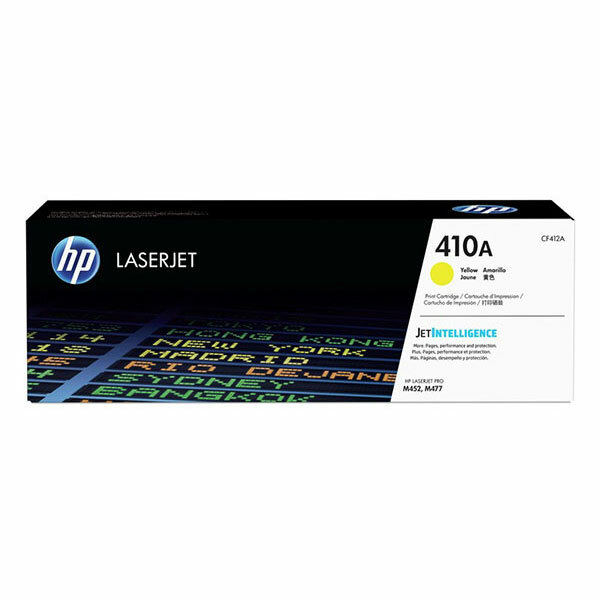 HP 410A (CF412A) Color LaserJet Pro M452, MFP M477 Yellow Original LaserJet Toner Cartridge (2,300 Yield). Be confident you're getting more from your cartridge. Count on intelligent tracking of toner levels and cost-effective, high-yield options -- using Original HP Toner cartridges with JetIntelligence.